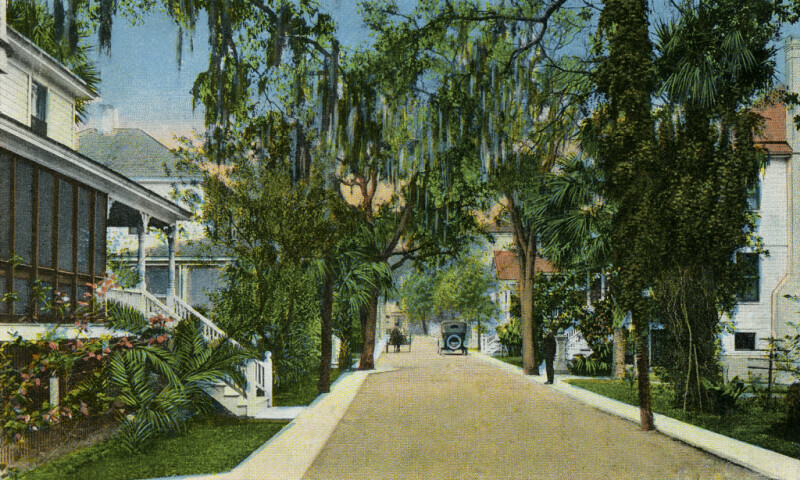 A view down a wide, evenly-graded road in a neighborhood of Daytona, Florida. In the distance, an early automobile is seen driving away; and, a horse-drawn carriage is seen driving toward the viewer. Narrow sidewalks line both sides of the street. A narrow strip of greenspace serves as the front yard for the homes in this neighborhood. A tree, to the right of the viewer, is almost entirely shrouded in ivy.